Life Sciences Hub: Diabetes Conference 2016 | Life, Sport and Diabetes - An everyday look at my life with type 1 diabetes. Last Friday I had the pleasure of being invited to speak at the Life Sciences Hub Cardiff's conference on diabetes. 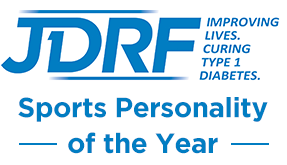 I'd been asked if I would go along and speak about my experiences of living with diabetes, and to help dispel some of the myths that can sometimes be associated with participating in sport and managing a chronic condition. The event successfully brought together many different speakers, who gave perspectives from their own fields of working with the condition. Speaking first was Professor Stephen Luzio from the Diabetes Research Unit based in Swansea. Who told us about the innovative work that the unit does in all different areas of diabetes, including technology, and mentioned about some incredibly exciting upcoming projects. Including one on a glucose monitor that was completely non-invasive, but that could read glucose levels through the skin. My presentation was next up, on my diabetes journey, how my path took me down the route of one including sport and also about how nutrition is an important support mechanism for me, in trying to avoid hypos from sport. My talk was followed by a shared presentation by Dai Williams, the Director of Diabetes UK Cymru and Rob Lee, a patient advocate and service champion for the charity and people with diabetes. They spoke from both the perspective of the work that the charity does, but also the current situation in Wales surrounding diabetes. Next, Professor Dean, a vascular surgeon who specialises in diabetes, gave an incredibly insightful presentation on foot care. He showed us some of his case studies of people whom he had treated with diabetes related foot complications. I learnt a lot from his presentation, about how to try and avoid foot related complications through good glucose control. Also how to check and monitor my feet through clever ways such as wearing light coloured socks, and checking them when I take them off, that they're not discoloured in anyway indicating foot issues. Thankfully I don't have foot problems, but it was noted that when people with diabetes have nerve damage in their feet, it can be hard to feel if something is there. So it can be important to use visual checks aswell. I met some really interesting people during the event, both companies and as individuals, that are all working towards the goal of, I think, making life a little easier for people with diabetes. The event itself was excellent, enjoyable and engaging and I hope there will be more of them again in the future because I learnt a lot and enjoyed being part of the Welsh diabetes and life sciences community.